Integrative food, nutrition and metabolism is a peer reviewed international journal publishes studies and research with relevance to food, nutrition and metabolism. Topics covered in Integrative food, nutrition and metabolism journal includes but not limited to functional foods and their role on molecular events, gene responses, metabolic processes, cellular and physiological functions, food microbiology, nutraceuticals and probiotics, molecular and nutritional physiology, enhancement of shelf life of foods, physical chemistry of foods, novel processing technologies and their impact, role of the human microbioma in nutrition, effects of nutrient deficiencies and toxicities, food materials science, sports, infant, childhood, and community nutrition, mechanisms of synthesis, degradation, metabolism, utilization of food nutrients, molecular and cellular mechanisms underlying inherited disorders of metabolism, disease prevention and dietary management of lifestyle diseases (particularly obesity, diabetes and other metabolic conditions), food-nutrient interactions and their impact, effect of nutrients and other foods on differentiation, pre-cancer, and immune response in animal models or human clinical trials. 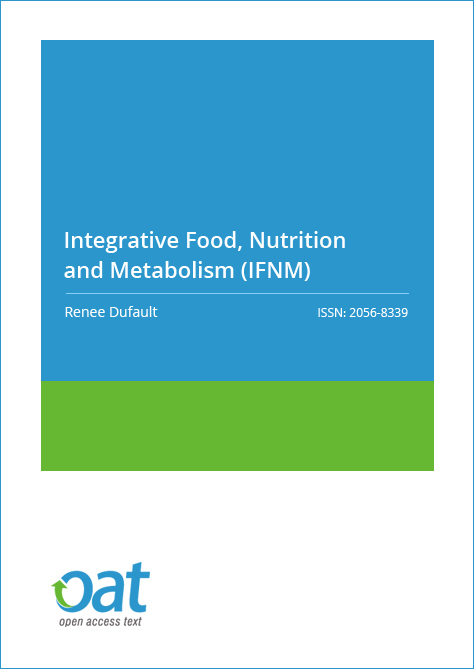 Integrative food, nutrition and metabolism (IFNM) accepts original research articles, review articles, editorial, case studies, meta-analysis studies, viewpoint papers and short communications on all the aspects of food, nutrition and metabolism. Readers for Integrative food, nutrition and metabolism journal include academicians, researchers and students in the field of food and nutrition, public health, nutritionists, dieticians, health care and medical professionals. The journal will also consider publication of letters to the editor commenting on research already published in the journal, as well as manuscripts describing new hypotheses. Articles published in Integrative food, nutrition and metabolism journal are subjected to rigorous peer review and revision process before being accepted for publication, to maintain quality and the standards set for academic journals. This Journal ensures the barrier-free distribution of its content through online free access and thus helps in improving the citations for authors and attaining a good impact factor. Renee Dufault earned her Doctorate of Health Education (D.H.Ed.) degree from AT Still University in Missouri. She began her career in the 70’s working as a medical laboratory technician in the U.S. Army. After serving in the Army she earned a B.S. degree with an Environmental Science concentration at the University of California Davis campus. She then served in the Navy as an Industrial Hygiene Officer for two years before transferring to the US Public Health Service (PHS) to work as an Environmental Health Officer. During her 16 year PHS career, she worked at the National Institutes of Health, Environmental Protection Agency, Shoshone-Paiute Tribes and the Food and Drug Administration where she provided expertise in the areas of toxicology, environmental health and industrial hygiene. 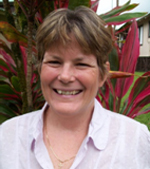 She retired early from the uniformed service after 20 years in 2008, to publish her findings of mercury in high fructose corn syrup and continue her research with collaborators on the role toxic food ingredients play in the development of disease conditions. Her most popular article to date was published in the Clinical Epigenetics journal (Dufault et al., 2012) and explores the gene-environment interactions responsible for the autism epidemic in the U.S. – over 150,000 downloads to date.